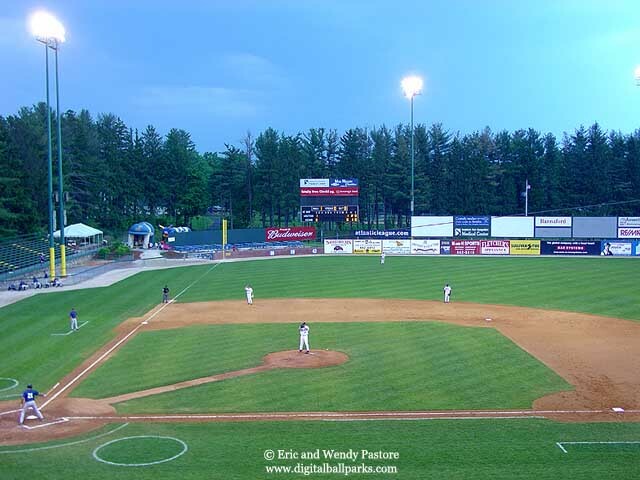 Both Nashua and Manchester, are typical New England ballparks. At the same time however, both dramatically different... especially in terms of views. Manchester shows off the typical New England town complete with church steeple. Nashua, shows the sheer beauty of the New England pines. Holman is by far, one of the most peaceful places to catch a ballgame.